Here at GrabCAD, we love talking with members who are doing extraordinary 3D printing things to hear more about their projects and the benefits they have found using the GrabCAD suite of products. 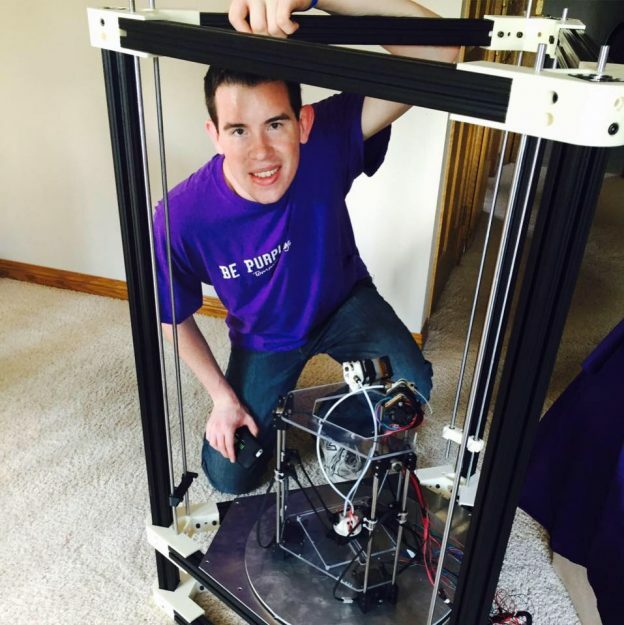 Recently, we spoke with a Austin Otto, an engineering student at the University of St. Thomas who builds his own 3D printers using 3D printed parts along with GrabCAD Workbench and GrabCAD Print. Austin had a lot to say about both Print and Workbench and how these tools have helped him streamline and simplify his 3D printer projects. Austin Otto is an engineering student at the University of St. Thomas in Minnesota. Emma Kaloupek: Tell me a little about yourself. Austin Otto: I am a Mechanical Engineering student at the University of St. Thomas. I have an expected graduation date of Spring 2019. In addition to my schooling, I enjoy designing and creating 3D printers as well as working on other projects. Among my four longboards, two are 3D printed, and one I hand crafted from carbon fiber. I am looking forward to a career that involves digital manufacturing and rapid prototyping. Emma Kaloupek: Can you give a brief description of your projects? Austin Otto: My projects kind of fall into two categories: longboards and 3D Printers. I have found joy with creating longboards that are made of exotic materials. My first two were printed in the strongest and most expensive material I could find while interning at Stratasys. Over spring break, I recently finished building two carbon fiber boards. I taught myself how to lay the carbon fiber material. This summer, I hope to mill a longboard out of a billet of 6061 aluminum. As for 3D printers, I have built a total of 10. I am always thinking of ways that I could improve upon my existing machines. I am currently using Workbench to design a large build volume machine that I don’t have the money for. Being able to save my projects in Workbench has been great because I don’t have to worry about them getting lost. I also enjoy printing cool things that I find online that other people have designed. 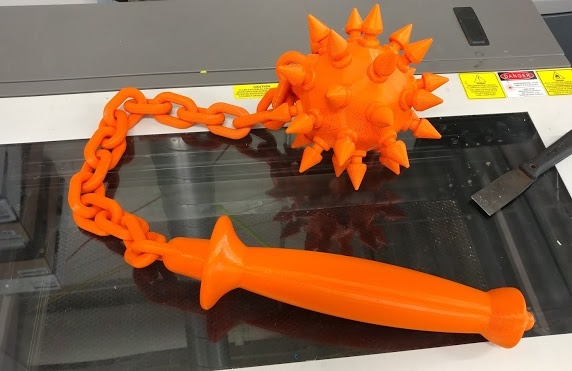 Since many people still don’t realize the potential of 3D printing, I try to bring as many interesting models as I can to my school's rapid prototyping lab to show the endless possibilities of the technology. Austin even built his own 3D printer out of 3D printed parts. Emma Kaloupek: Where/how did you learn to design and build your own working 3D printers? Austin Otto: During my sophomore year of high school, I saw videos of 3D printers on YouTube and immediately became interested in how these things worked. I found a startup on Kickstarter that was marketing a $500 3D printer. At the time, I had about four lucrative lawn mowing jobs that I could use to save up to buy one of these printers. After supporting the project, not knowing how Kickstarter projects worked, I waited over six months to receive the machine. I vividly remember opening the box for the first time and printing my first object. I didn’t realize at the time how much I would grow to dread the smell of melting ABS plastic in my room. My first 3D print ironically was a toilet. It was one of the first easy 3D models I saw on thingiverse.com. Having a pretty good mechanical aptitude, I started to realize that the inexpensive printer could be improved and modified. It had a build space of 6 inches cubed. I wanted to print larger things, so I researched how to build my own printer. I then set my sights on a Rostock Delta printer. Since no one I knew really understood 3D printers, I learned most of what I know now from forums online and the endless amount of information on Wikipedia. I can’t imagine life without the internet. I was part of my school's first robotics team as well. This is where I learned how to use AutoCAD Inventor and later Solidworks. We ended up using my printers to make parts for the robot. Emma Kaloupek: How did you hear about GrabCAD? Austin Otto: During the summer of 2016, I was a mechanical engineering intern at Stratasys. 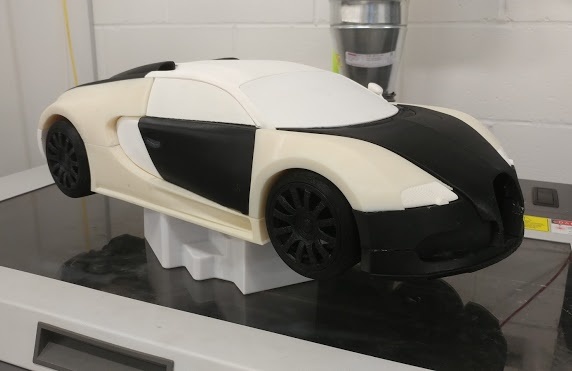 Throughout that summer, Stratasys was slowly transitioning their machines to be able to run GrabCAD Print in addition to Stratasys Insight. I thought this new software was interesting, so I started to mess around with the development versions. As a result, I now almost exclusively use the GrabCAD suite of software. He learned about the benefits of the GrabCAD suite of products as an intern at Stratasys. Emma Kaloupek: What is your favorite model that you've printed? Austin Otto: I am most proud of my 3D printed electric longboard because it was my own design but my favorite model that I have made is the Mars Bars Scuttle from Star Wars. Both models were printed on a Stratasys Fortus 900mc with Ultem 1010. The longboard took five days to print. I love the gold color of Ultem. Emma Kaloupek: How does Workbench help you in creating your prints? Austin Otto: I really like that I can save my projects to the GrabCAD file location on my computer and upload it to the cloud. I enjoy this because I can then work on my projects from a variety of locations, like home, school, or work. I really wish that the desktop client would automatically upload the parts or at least have the option to do so. A lot of times I forget to upload my designs on my home machine and end up remoting in to that computer from my phone when I am at work or school. I also run our schools rapid prototyping lab. I frequently use workbench to save and organize student parts whether it be for laser cutting or 3D printing. Emma Kaloupek: Why did you decide to use GrabCad Workbench over other tools? Austin Otto: I enjoy how the GrabCAD suite is seamlessly integrated into my workflow. Saving files is made easy through the Solidworks add-in. I also enjoy being able to give presentations of projects for school through the online browser for Workbench. 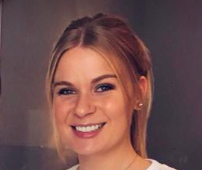 Emma Kaloupek: What has been the most beneficial thing to you about using GrabCAD? Austin Otto: The most beneficial aspect of GrabCAD for me is being able to access files anywhere. Whenever I am in a group project for school for my engineering classes, I try to get my peers to use GrabCAD instead of Dropbox just because of how seamless everything is. I wish more people knew about it. Emma Kaloupek: How does GrabCAD Print help you in creating your projects? Austin Otto: Before using GrabCAD Print, I used Stratasys Insight and Control Center. It was always a burden converting people’s various design files to STL files. I enjoy being able to import basically any CAD file format into the slicer and run the part. I also have the GrabCAD Print app on my phone and regularly use it to monitor the running jobs from home. Emma Kaloupek: What is your favorite feature of Print? Austin Otto: My favorite feature is being able to import native CAD files instead of STL’s. Emma Kaloupek: What is one feature you wish to see soon in Print or Workbench? Austin Otto: I think it would be awesome if you could login to GrabCAD Print online through a web browser and queue a print. Emma Kaloupek: What is your proudest engineering moment? Austin Otto: My proudest engineering moment was last year when I first stepped onto my 3D printed Ultem longboard. The previous designs had failed, but this one was designed with specific material in mind that would be able to support my body weight. Emma Kaloupek: What is the next step for you when it comes to your printers and projects? Austin Otto: My projects flow with my time and budget. I really would like to build a Tabletop CNC Router, but school comes first. To find out more information about Austin and his projects, visit his website. Emma is the Marketing Intern at GrabCAD. She graduated from Syracuse University in 2018 with a degree in Psychology and Marketing. She has experience and interest in both digital and print marketing, and is on track to attain her MBA from Northeastern University in 2020.